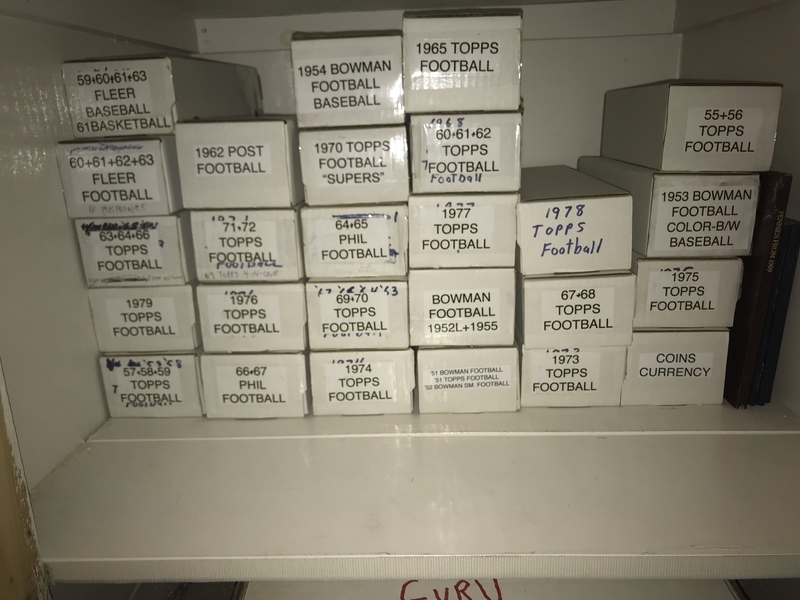 There have been a couple of threads on the baseball side about whether collectors collect complete sets, team sets, HOFers, or some other way. This got me to wondering about the football collectors. Since getting into football cards I have gravitated to complete sets. What about the rest of you guys? Cop out alert...All of the above. I’m done with the ‘64 Philly Gum set and slowly working on the others. I did a Baltimore Colts team set run...lack a couple of the Fleer Super Bowl cards. I also collect HoF and other favorite players, card by card...Earl Campbell, Tommy McDonald, Ben Hawkins, Gale Sayers and a few more. Is this like Ginger or Mary Ann? I like sets ... for both questions. I am much like Bob in the first response to this thread. I am primarily collecting sets right now, trying to finish up some '70s sets and move down to the '60s. But, I collect '70s Cowboys, Dolphins, and Vikings when I find real nice ones and add them to those team collections. Also, along the way, I collect certain other players I like such as Len Dawson and Lance Alworth. So, I'm mutt I guess, but at least I'm not alone as it seems like many are sorta hybrid collectors such as myself. fun? this is supposed to be fun? i forgot! I have a completely different approach. I am a player collector. Several Patriots greats who spent their whole careers with the franchise.